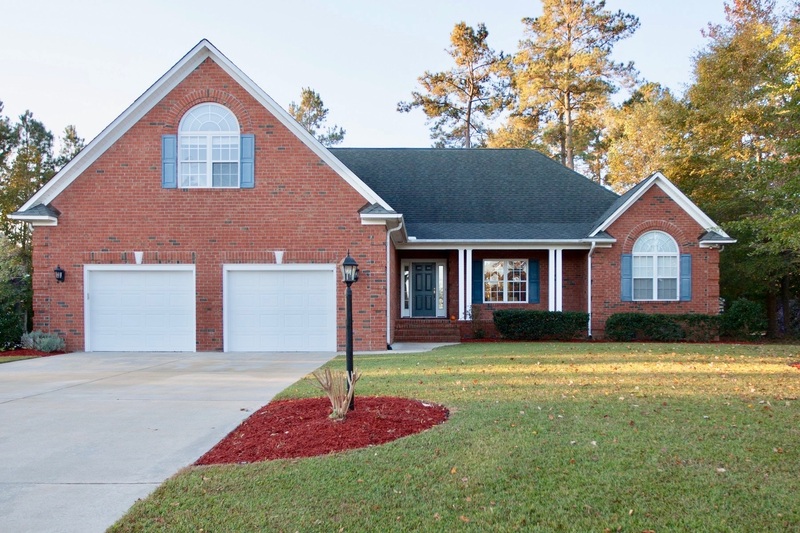 Great curb appeal & plenty of space to entertain & enjoy life in this beautiful open floor plan brick home in desirable Neuse Harbour. Hardwood floors & vaulted ceilings in main living area. Dining room w/ spectacular trey ceiling & detailed mouldings. Well lit kitchen w/ striking counters, SS appliances, 6 burner gas stove, cabinets galore & breakfast bar. Grand master suite with high ceilings, large walk-in closet, french doors leading to private sitting area/office & access to covered back patio. Master bath w/ toilet closet, dual vanities, jetted tub & separate shower. Above garage bonus room (4th bedroom) w/ full bath & access to attic & storage areas. Wonderful flow & attention to detail make this a truly incredible home. 10 miles to Historic New Bern, 29 miles to Atlantic Beach!